Found the character table too, eh? I had some fun with classes. She looks like she's freaking out in the thumbnail. I find it interesting that her idle animation is different from Olivia's. That suggests that at some point other dancers (most likely enemy units) must have been planned. Wait wouldn't FF blocks normally be used to seperate blocks? Instead of being randomly in the center of a block? I wonder if we can recruit enemy units with this. Like if we leave it so only the enemy non-generics are left then apply a code. 0xE80B Great Lord M ? 0x680C Great Lord F ? 0x6812 Great Knight F ? 0x6819 Bow Knight F ? 0x6821 Wyvern Rider M ? 0x6822 Wyvern Lord M ? 0x6823 Griffon Rider M ? 0xE823 Griffon Rider F ? 0x682A Dark Knight M ? 0xE82A Dark Knight F ? For your pleasure, you can see some of my experiments here. Of note, if you change the class directly with codes, the character will still equip whatever weapon they had, even if it can't be used. Also, fair warning: Anyone changed into a Revenant or Entombed look disturbing as hell. The weapon "glitch" also applies for transformation stones too. So you could have a Dancer transform into a dragon... Hmmmmm. Oops, the monster items can't be traded. I just reload after saving. 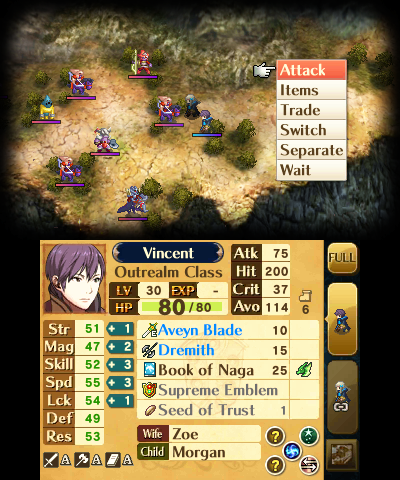 Vincent, since you've had some experience with looking for support points... do you think you could help me with MU x MU? 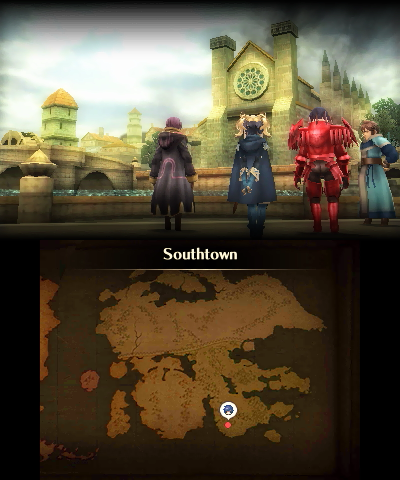 Whenever you activate a support with the "other" non-main MU, no dialogue is shared. It just activates the support level. Hint: Look for 04 0A 12 63, which is blatantly a string of support point requirements. Also, apparently most or the entirety of static.bin is in the RAM uncompressed, so you can theoretically edit growth rates (0% growths, anyone? ), caps and etc. Basically anything that can be edited by the Character Editor. However the pointers are all offset by a constant value, so the Character Editor won't work (and I'm lazy to update it, especially if the position of the file in the RAM can change). Dunno about the practicality though... it depends on how much of the RAM is permanently saved. 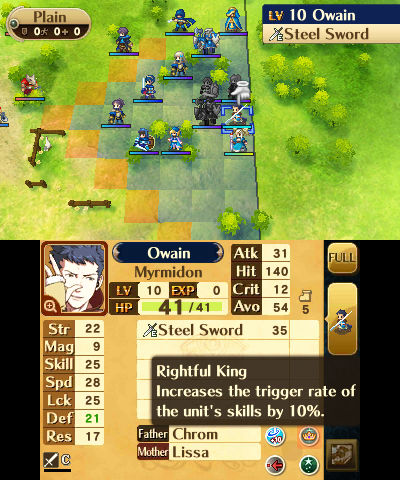 Chrom!Owain's hair and fixed inheritance work. That's definitely good. I think I managed what SoC wanted, kinda. Avatar M x Avatar F.
Right now, no relationship info is displayed for the imported Avatar F, but maybe it could change if you trigger the actual supports. Also, it might be because of how I did it, but Avatar F has priority in my game file. If she dies, it's Game Over, while if I die nobody bats an eyelid. Also, the file name has changed to Avatar F's. Some more screens here if you look for "DoubleMU". Belinda also upstaged me at one point as well. Being in "slot 2" of the character table might have something to do with it. I was able to switch between the two via editing the RAM character values and saving. 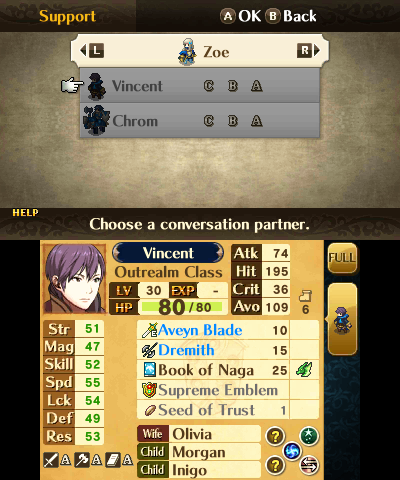 I've had my MU marry Olivia with relationship info, while I had Beilnda's display Chrom. I guess you have to actually do it for the other MU as well. Also, I was considering uploading a hacked playthrough, but Prologue is going to take 5 or 6 hours to upload. Um... ouch. Lord!Lissa is a scary mashup of Lucina's face and Lissa's, I believe... Yikes. Don't you have a save backup feature with the digital copies? Then again, I'm fearless because I have like 500 MB pile of save backups. Anyways... I'd actually like it if I can have a .bin file dump of the character table with your edits. Hahahaha. Don't worry about the pointers and stuff, I'll fix it. Feel free to deny this request. Thanks! 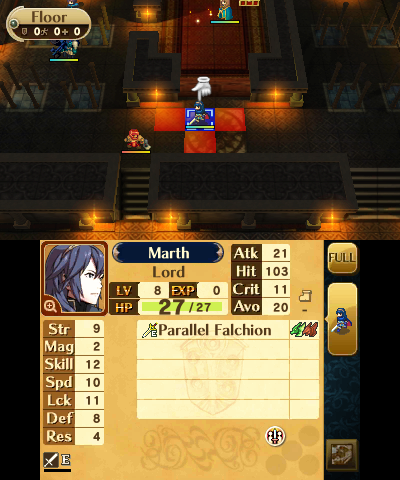 0x13D6610 should be the start of Chrom's pointer in Avatar M's support table. Or did you want the class edits and stuff? I can point you to the relevant parts in the character block. 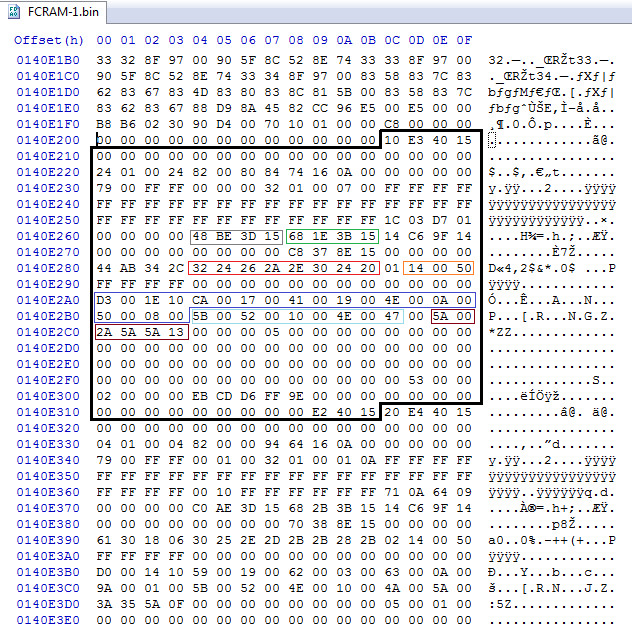 Alternatively, if you cross-reference the bytes, you should be able to find them easily. 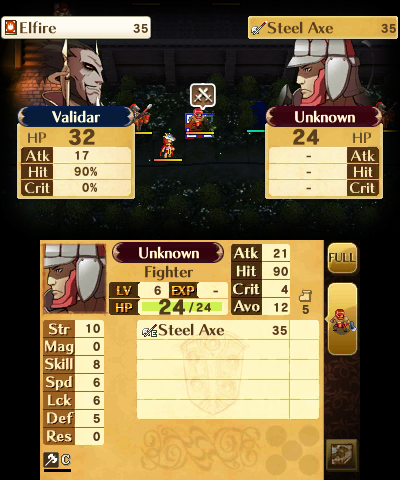 are classes, character slot, and the like all pointers like they were in FE12? Or are classes actual values. Also have you been able to find out where the convoy (or pointer to it) is? Skills and items are values. Classes are pointers. FFs and the nearby area are possibly related to supports. The first coloured block of four is the character pointer according to SoC. The second coloured block is the class pointer. Long red block are the bases. Orange block is level, exp and current HP. Then weird shape block is weapon data. Followed by skill data and finally weapon rank data. Haven't singled out the other bytes yet. I can already see the videos flooding into rey's channel. Flooding. FLOODING I TELL YOU! Lets make it even easier. Can you try to locate the pointer to the character data. Even if the location itself varies, you can always locate the pointer and you can find any unit you want, highlight it, dump the ram, and then go to the pointer and then the address. Also have you manage to locate the block where learned skills are? Not equipped ones. 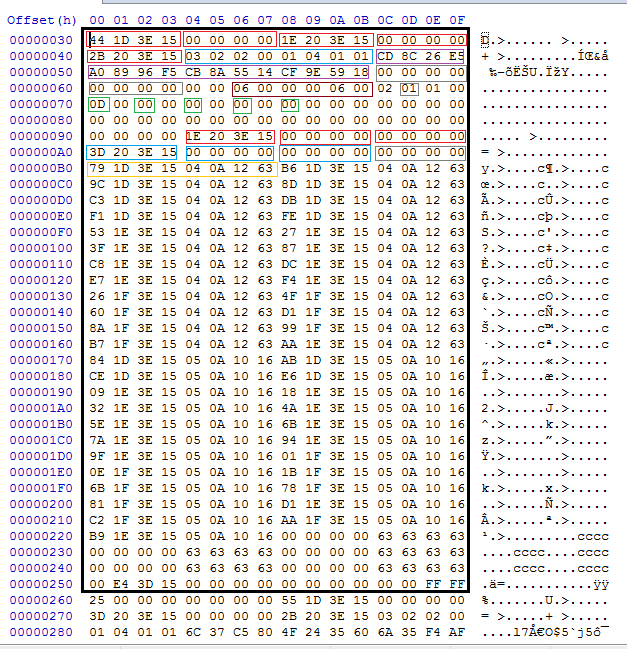 The problem with that is somehow, different 3DSs or spotpass and DLC data shift the addresses. I have no idea how to deal with that if it's a pointer within a pointer. Search for a pointer that points to that block's start. Search for a pointer that points to the start of that pointer. I'll have my eng 3ds again this weekend so i'll try myself then if no one else has by then. Please note, I have found that these are pointers. So they fluctuate between 3DSs depending on conditions. About pointers here: "Offsets are based on the FCRAM dump offsets. ARCode will automatically add 0x14000000 to them." So when reversing, change the 0x15 in my case to 0x1. Wallah! I'm a female tactician! Just gotta figure out the distance every time though... that's a pain. Nice. I figured you might do that. Now wear that Bride costume. Luckily they haven't changed for me yet (EU version, no SpotPass/DLC). Eff sake, I hit back before I finished my post. Here's static.bin pulled from the RAM. Dark box made up of 16 bytes: Player and enemy growth rates. Encrypted.